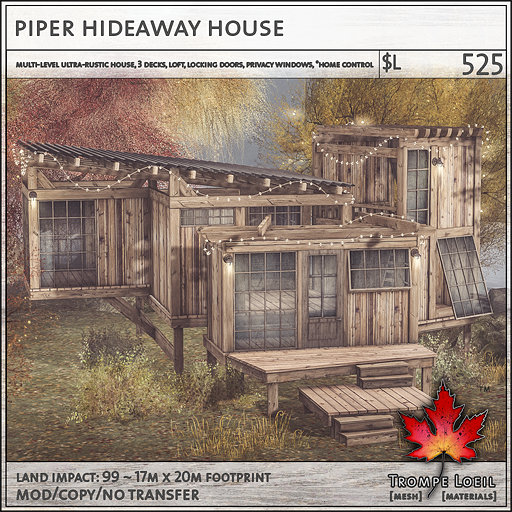 The Piper Hideaway House for FaMESHed’s October round is secret hideout all your own – memories of clubhouses and childhood forts, upscaled and perfectly sized for a grown-up retreat! 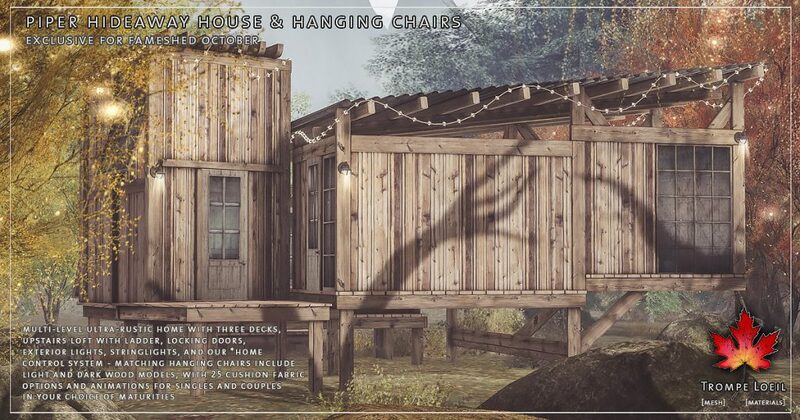 The Piper Hideaway House is a multi-level, ultra-rustic structure, with three decks, open-air roofing, upstairs loft with ladder, stringlights, privacy windows, locking doors, exterior lights, and our *home control panel to round out the features. 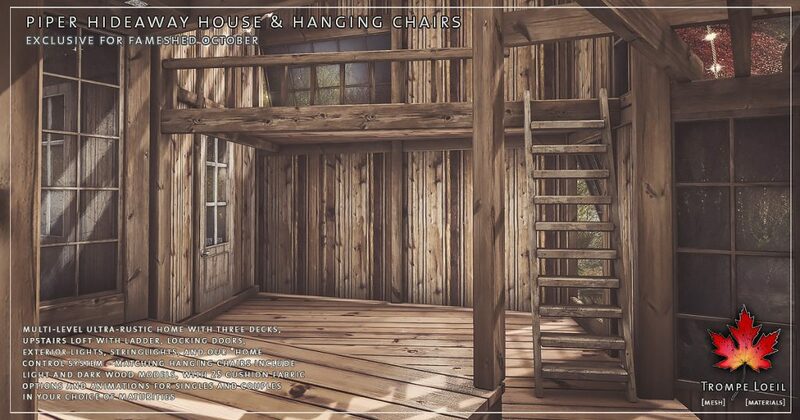 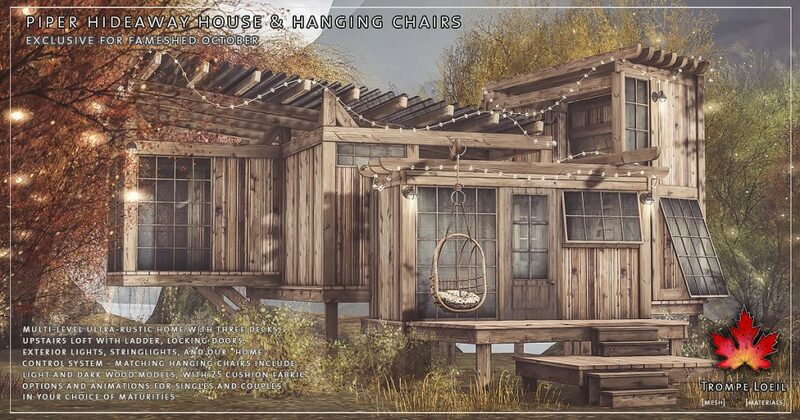 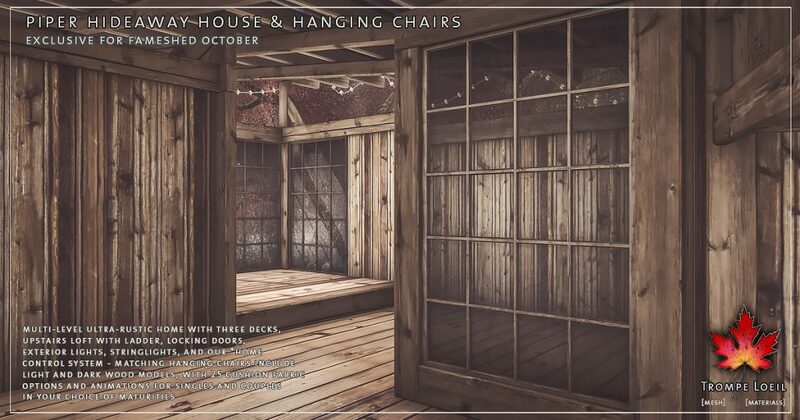 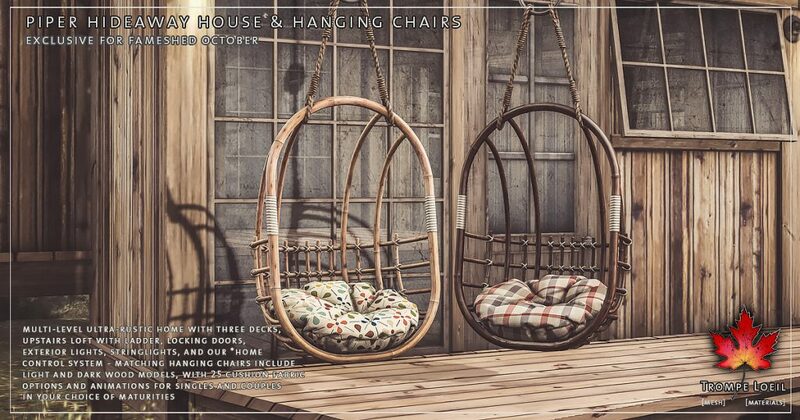 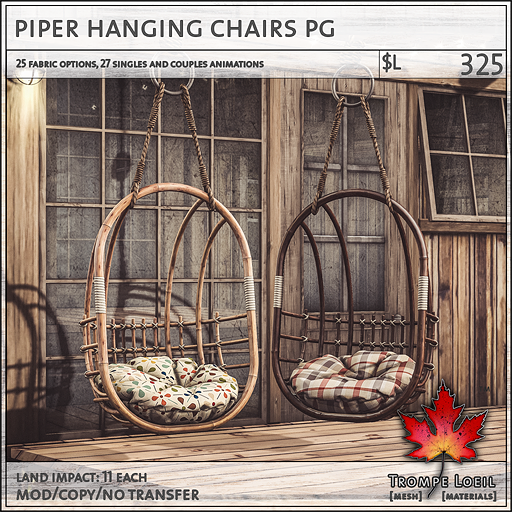 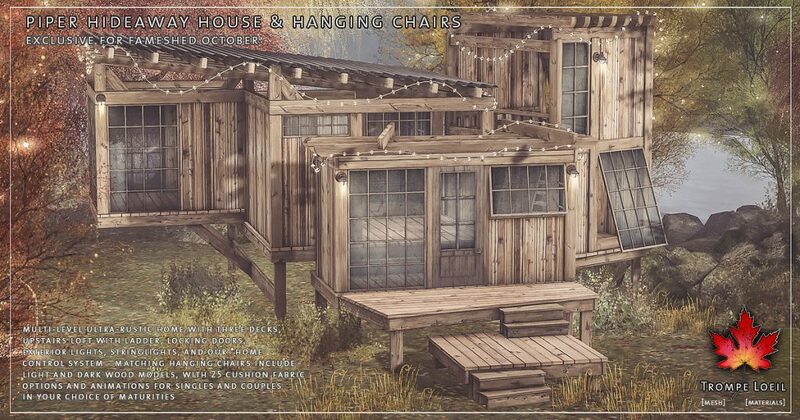 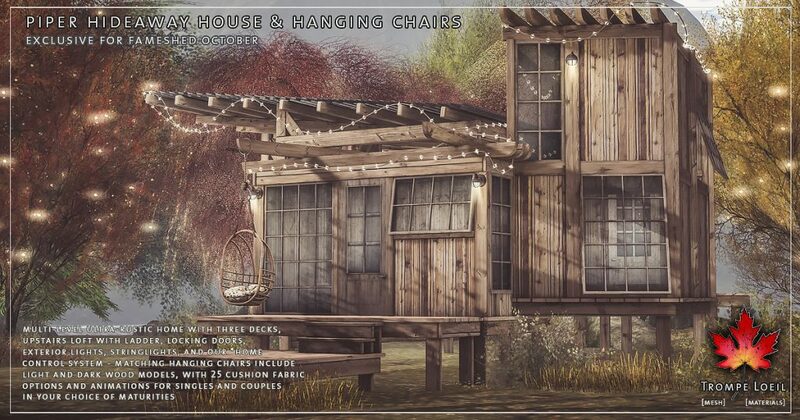 Plus, the matching Piper Hanging Chair fits perfectly along the Hideaway beams, with included dark and light wood models, 25 fabric options on touch, and singles and couples animations in your choice of maturities! Only at FaMESHed October!